Four specialized agencies of the United Nations today warned of a colossal human loss to Asia and the Pacific and its economies if countries in the region do not recommit themselves to ending all forms of malnutrition and achieving zero hunger by 2030. The warning came during the launch of a new regional report revealing that the reduction in the number of hungry and malnourished people – including children – has come to a virtual standstill in many parts of Asia and the Pacific. 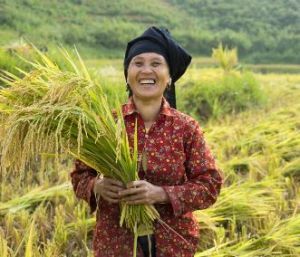 The Asia and Pacific region accounts for well over half of the world’s undernourished – nearly half a billion people (486 million). 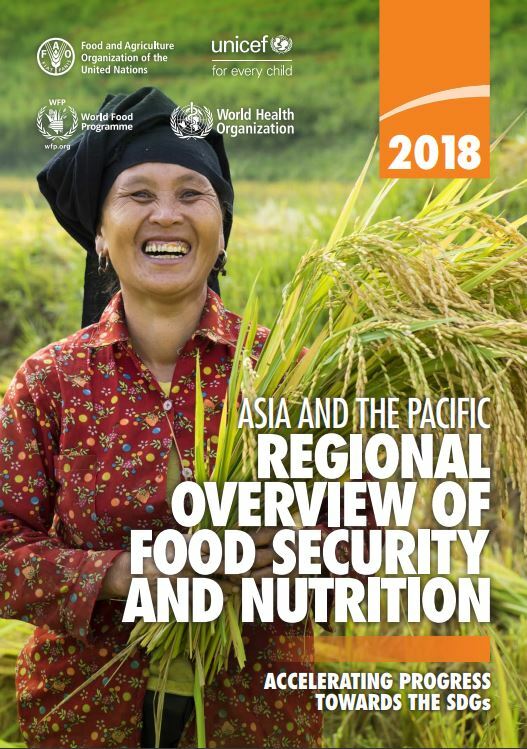 While recently released global figures indicate an overall rise in the prevalence of hunger worldwide, returning to levels from a decade ago, this regional report points out that stagnation in combating hunger and malnutrition in Asia and the Pacific is also a major concern due to the large numbers of people involved. The report, Asia and the Pacific Regional Overview of Food Security and Nutrition, published today by the Food and Agriculture Organization of the United Nations (FAO), the United Nations Children’s Fund (UNICEF), World Food Programme (WFP) and the World Health Organization (WHO), highlights a number of converging challenges that threaten to undermine the Sustainable Development Goal to end all forms of malnutrition by 2030 (SDG 2). “Progress in reducing undernourishment has slowed tremendously. The report’s estimates show that the number of hungry people has barely changed during the past two years, making it increasingly difficult to achieve the Zero Hunger target of SDG 2,” the regional heads of the four UN agencies wrote in their joint foreword. Incidences of climate-related disasters have been rising in the region. Natural disasters impact food security and nutrition through reduced food production, which can then cascade down to the entire food value chain, affecting livelihoods and causing economic and agricultural loss. Beyond the short term, disasters can impact the agriculture sector through loss of assets and rural infrastructure, and through increased disease outbreaks. According to recent FAO estimates, Asia suffered a staggering loss of USD 48 billion during 2005-2015. Countries need to adapt agriculture to become more resilient to climate related events and to mitigate the damage they can cause. Limited or poor access to safe food and water, sanitation and hygiene (WASH) is another of the key drivers of malnutrition among children. To contribute substantially to reducing malnutrition, food safety and WASH improvements and coverage must be improved and expanded across the region. The report also highlights the almost paradoxical reality of an increase in obesity of both children and adults in the region. It reveals that the region is now home to the fastest growing prevalence of childhood obesity in the world. Asia and the Pacific has witnessed rapid growth in the number of overweight children and the serious consequences that entails for their future health and well-being. An estimated 14.5 million children under five are overweight and virtually all children in the region are increasingly exposed to cheap, unhealthy processed foods high in salt, sugar and fat but poor in essential nutrients. “This double burden of malnutrition sees undernourished and overweight children living in the same communities and households and it can even occur within the same child,” the report said. As migration from rural to urban areas continues apace, particularly involving poorer families, urban malnutrition is another challenge facing many countries. At the current rate of urbanization, by 2030, more than 55 percent of the Asian population will be living in cities and towns. While urbanization can bring economic opportunity, the growth is often not equitable and is associated with a concurrent prevalence of high and sustained undernutrition in children with rapidly rising rates of obesity in children and adults. “These developments in food security and nutrition are at odds with the region’s continuing high level of economic growth,” the regional UN agency heads noted, with new concerns raised that a large majority of countries in the region now risk missing both SDG 2 and World Health Assembly targets on nutrition. Efforts to fight malnutrition must also go hand in hand with those to build and sustain peace, the report says, and there is an urgent need to accelerate and scale up actions that strengthen resilience and adaptive capacity of people and their livelihoods to climate variability and extremes.